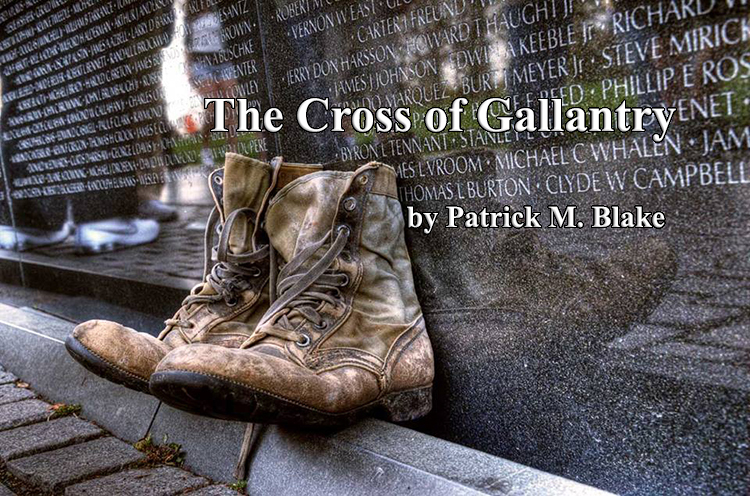 The powerful image of “The Boots at the Wall” was discovered on the Vietnam Memorial web site. Unfortunately, there is no information on the photographer who took this heart-wrenching picture. A sincere thanks to whoever took the photo and shared it on the internet. While looking for the creator of the photograph, I found the poem, “The Boots at the Wall” by Richard “Boon” Preston, another Marine Vietnam Vet – 3rd Battalion, 4th Marines 1966-67. Boon’s poem is very moving and relevant to both the photo and The Cross of Gallantry. Many thanks to Boon for his beautiful poem and permission to use at the conclusion of the book. I am grateful for the expert editing provided by my friend, and fellow Vietnam Veteran, Bob Koehler. For over a year, Bob provided constructive and frequently humorous criticism, many recommendations for smoothing transitions in the story, and suggested re-writes for sections of the book. Bob’s generous commitment of his time, comments, and advice has been invaluable. Ken Forbes, a Marine buddy who served with me in 2nd Platoon in 1967-68, read the manuscript for accuracy and asked, “How do you remember the details after so many years?” I answered, “How do you forget? Thanks Ken. My Commanding Officer at my last Marine Corps duty station, now retired Brigadier General Pat McMillan, was kind enough to review the story, and correct details about the Marine Corps. I believe I am now “squared away.” Thank you Sir. I also appreciate the recommendations and edits provided by another Marine Vietnam veteran, Marshall N. Carter. His suggestions were very valuable and improved the overall story greatly. I am fortunate to have the support of Nancy Navin, who always provides encouragement, feedback and detailed edits on the many iterations of the manuscript. Thank you Nancy for your patience and attention to details. My marketing expert, Rich Navin, provided creative and innovative support in the preparation of the final manuscript for publication. Not a simple task, but Rich diligently worked through the final details to produce both the Kindle and paperback version of the book. Thank you Rich. Several more Marine buddies, friends and family read the manuscript and provided valuable feedback, recommendations and suggestions. If I try to name each of you, I will certainly leave someone out. You know who you are, so I’d like to say many thanks to each of you for your help and encouragement. The 3rd Marine Division and the 1st Battalion, 3rd Marine Regiment websites, helped provide details on dates and places. While in Vietnam, your world is limited to your buddies in your squad. You are not aware of, and you really don’t care about, anything outside of your limited world. So details about operations, strategy, intelligence, etc., escape the typical grunt.